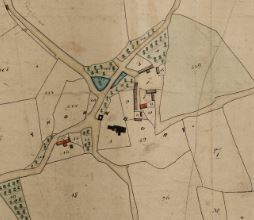 According to the Devon Place Names book, the origins of the name of the village comes from the self-explanatory word ‘thorn’ and ‘bury’ which means a fort, in this case probably in the form of a now-lost earthwork rather than anything grander or more permanent. It was part of Ordulf’s original grant to Tavistock Abbey in 981 under whose ownership it continued until 1066. The Abbot of Tavistock holds Tornberia. It was taxed on a hide under King Edward. 10 ploughs can plough it. Radulf holds it of the Abbott. In demesne he has a virgate and 2 ploughs. The villeins have 3 virgates and 4 ploughs. Radulf has 10 villeins, 6 bordars, 4 serfs, 14 head of cattle, 15 swine, 50 sheep, 30 goats, 26 acres of wood, 100 acres of meadow, 120 acres of pasture. It is worth 60 shilling and was worth less when the Abbot received it. In 1161 Roger Le Cornu held it of the Abbey as a Knight’s Fee (In feudal Anglo-Norman England and Ireland, a knight’s fee was a unit measure of land deemed sufficient to support a knight. Of necessity, it would not only provide sustenance for himself, his family, esquires and servants, but also the means to furnish himself and his retinue with horses and armour to fight for his overlord in battle. It was effectively the size of a fee (or “fief” which is synonymous with “fee”) sufficient to support one knight in the on-going performance of his feudal duties.) His descendants held it until about 1540 when it passed to the Speccott family on marriage. 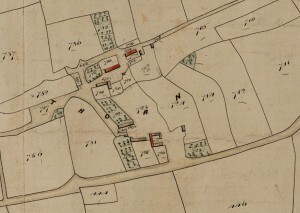 In the late 18th century it was sold to the Fry family who in turn sold it to the Graham family in 1873 who lived there until most of the Estate was sold in 1921, Lower Manor Cottage was occupied by the Gamekeeper and Old Park Cottage was the home of the Estate Gardener. Bagbere, in this parish, gave name to a family who, having possessed it for many generations, sold it to the Speccots about 1600. 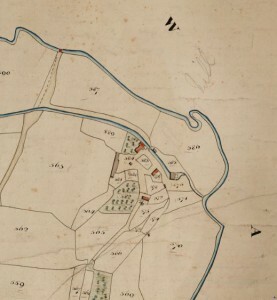 In more recent years, White’s Devonshire Directory of 1850 declares Thornbury part of the Holsworthy Union, with an acreage of 2006 and population of 524 souls. Two sisters, Mrs. 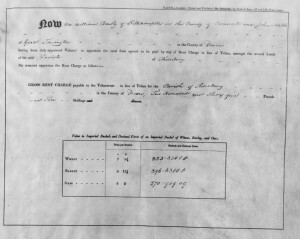 Freer and Mrs. Fowke are named as being owners of Thornbury Manor and the surrounding land, together with the rectory which was valued at £221 in 1831, and leased to a Rev. W Edgecumbe. Local farming families of the day were noted as being the Allin, Cole, Hutchings, Penwarden, Mountjoy, Priest, Wonnacott, Jollow and Trible. Some of these names prevail in our community today, revealing a passion for and loyalty to this lovely corner of Devon. At the time of Domesday it consisted of 19 households (10 villagers, 6 smallholders, 3 slaves ) making it a medium sized village with total assessed tax of 1 geld unit which is considered very small. From 1850-1939 the occupations of the local Parishioners were as follows, Farmers, Blacksmiths, Boot & Shoe Makers, Carpenters, Milkers, Masons, a Victualler, Farrier, Cattle Dealer, Dairyman, Registrar, Farm Bailiff, Parish Clerk, Post Master, Tailor, Nurse, Wheelwright and Overseer. 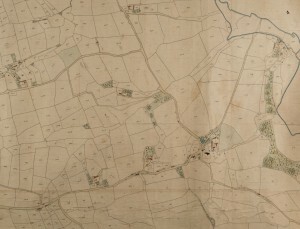 The whole area of Thornbury, including the other 4 hamlets is stated to be 2,000 acres (2772 in the schedule) and the gross rent charge is calculated as £235 10s. Below is Thornbury Mill, which also includes the poor House situated at 577 towards the centre of the map extract. Little seems to be known about this Poor House, but see the section on the Poor’s money. The New Inn was renamed as the Manor Inn, it closed in the 1920s, but in 1998 a descendant of the former publican opened the Woodacott Arms. 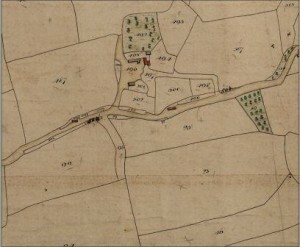 Barton Farm by the Church was the former Manor in 1600 and the Royalist Cavalry camped in the area during the Civil War. This farm had two ponds by it’s entrance. Drovers would use these to water their stock as they passed through, local people took their apples there to make into cider. A Parish Council was formed in 1894 and in 1927 the council paid £67 to erect the War Memorial, the Queens Jubilee was celebrated with a United high tea. In 1878 the Railway came to Holsworthy via Okehampton, letters arrived at Brandis Corner and could be posted from Thornbury Church in an outside wall.